Kobyliansky, Yuliian [Кобилянський, Юліян; Kobyljans'kyj, Julijan], b 26 December 1859 in Gurahumora, Bukovyna, d 11 November 1922 in Chernivtsi. Classical philologist and educator; brother of Olha Kobylianska. 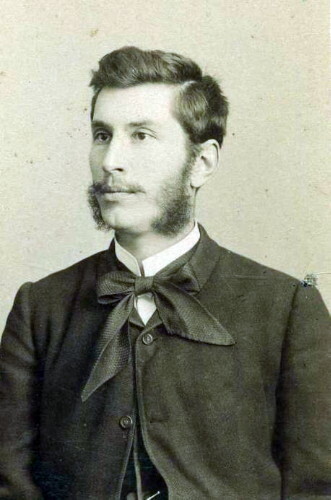 A graduate of Chernivtsi University (1883), he taught classical languages at the Chernivtsi Ukrainian Gymnasium. One of the first scholars to work on Latin-Ukrainian lexicography, he is the author of several high-school Latin textbooks, a Ukrainian-Latin dictionary (1907), and a Latin-Ukrainian dictionary (1912).